Bo-Jo having thrown his not inconsiderable weight & political clout behind the BreXit campaign it is with relief that we can expect the ‘Toxic Twins’ George Galloway & Nigel Farage to slither out of the lime light somewhat – leaving the stage to more credible individuals where the Toxic Twins will be less likely to destroy Britain’s hopes to Leave-The-EU. 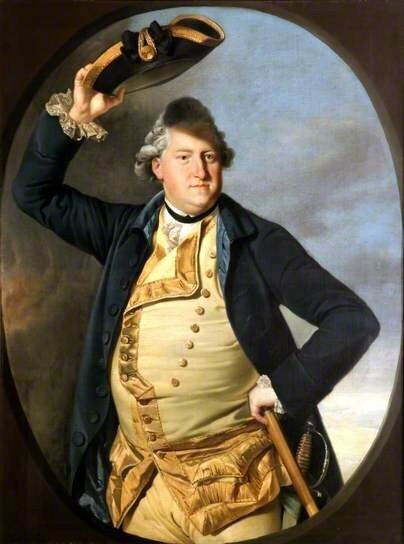 Clearly with Boris Johnson, 6 Cabinet Ministers & Zac Goldsmith actively campaigning for BreXit we can reasonably expect the Tory MPs with any integrity to side with them and expose thwe indisputable lies of David Cameron in his pretence that he has negotiated a reasonable deal with the EU when clearly his begging was rejected & unlike Chamberlain he came back empty handed having failed to buy time to strengthen his hand. David Cameron and those who simper at his feet betraying Britain by failing to expose the truth and campaigning to Remain in the EU, in the interests of their careers, would do well to remember all political careers end in failure! Boris Johnson has blown the EU referendum wide open after deciding to back Britain’s ‘Brexit’ from the European Union. In a dramatic move that could ensure he becomes the next Tory party leader as well as determine the UK’s future role in the world, the Mayor of London will defy David Cameron to urge voters to support the ‘Leave’ campaign on June 23. After weeks of speculation – and just hours after a personal plea from the Prime Minister – Mr Johnson is went public with his decision at 5pm with a short announcement outside his home in Islington in London. Speaking outside his home, Mr Johnson stressed that he would not share a platform with Nigel Farage or George Galloway and would not take part in any TV debates opposing any fellow Conservatives. Boris, who had warned weeks ago that his decision would be unveiled with ‘deafening eclat’, added that the main reason he was backing ‘Brexit’ was “because I want a better deal for the people of this country”. In an article in the Daily Telegraph setting out his detailed case, Boris admitted there was a risk of ‘tensions’ that could lead to Scottish independence but argued that “most of the evidence I have seen suggests that the Scots will vote on roughly the same lines as the English”. His main argument was that Britons needed to vote Leave to halt creeping European federalism, declaring “this is the only opportunity we will ever have to show that we care about self-rule”. But there was a hint from the Mayor that he felt that a Leave vote could trigger a desperate move by Brussels to give Britain more of what it wants, through a free trade deal – or a looser EU membership status approved by a second referendum. His announcement prompted Nigel Farage to say he’d be delighted with headlines declaring ‘Bojo was for BoGo’, a phrase repeated on Twitter. His announcement is a huge coup for the Brexit camp and immediately installs him as favourite to succeed David Cameron in a future Tory leadership contest, given the substantial grassroots Conservative movement in favour of quitting the EU. With 140 Tory MPs set to back ‘Brexit’, Chancellor George Osborne and Home Secretary Theresa May now face a difficult task in a future leadership contest, even if the EU referendum results in an ‘In’ vote. 8/1 for Theresa May and 10/1 for Michael Gove. Mr Johnson left Downing Street unconvinced last week after a meeting with David Cameron to discuss plans to assert British Parliamentary sovereignty over EU law. 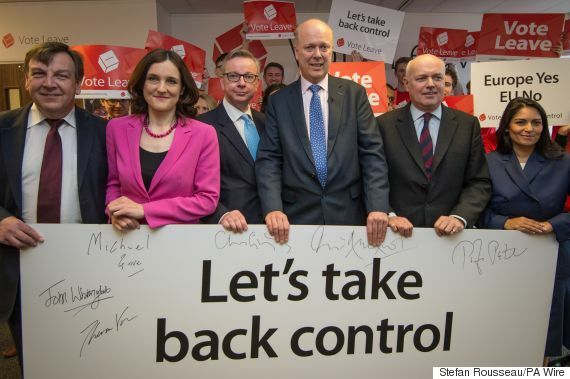 HIs decision to join the half dozen Cabinet ministers backing Brexit – Michael Gove, Iain Duncan Smith, Chris Grayling, Theresa Villiers, John Whittingdale and Priti Patel – led Eurosceptics to declare the ‘Gang of Six’ was now ‘The Magnificent Seven’. Reaction from Eurosceptics to his decision today was swift, with many delighted to have a big hitter on board. Mr Cameron had warned him against “linking arms” with Nigel Farage and George Galloway in backing Britain’s exit from the EU. “I think the prospect of linking arms with Nigel Farage and George Galloway and taking a leap into the dark is the wrong step for our country . And as No.10 was kept in the dark, the announcement underlined just how difficult relations are now between Downing Street and the Boris camp. Justice Secretary Michael Gove, a long-time personal friend and ally of the Prime Minister, also came out for ‘Brexit’ this weekend, along with five other Cabinet attending ministers. 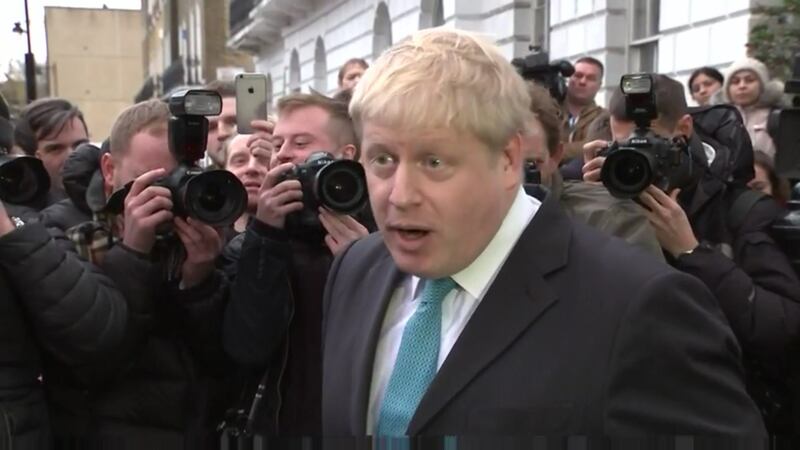 But Boris’s personal appeal – he is one of the few British politicians to have a net positive rating among the public – will rival that of Mr Cameron’s, and exceed it among non-Tory voters. Within minutes of the BBC confirming Mr Johnson’s intentions, the Mayor’s own previous writings opposing Brexit were dug up. 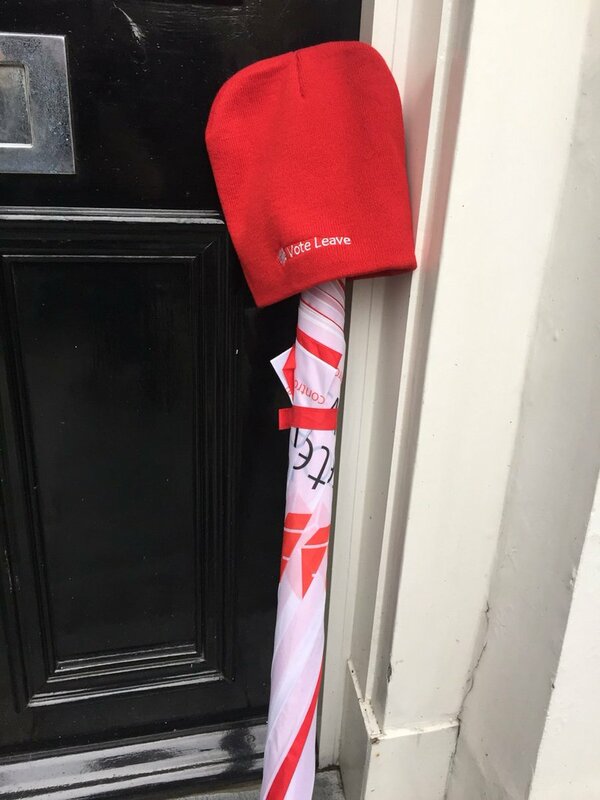 The ‘Vote Leave’ campaign was swift to react today, putting its umbrellas outside the Mayor of London’s home. Tories who had worried that Boris would put a job in the Cabinet before his principles were pleasantly surprised.Some instantly spotted that David Cameron was now unlikely to give Mr Johnson a senior Cabinet post in any post-referendum reshuffle.But the news was a direct rebuff to the Prime Minister, who had made his last-ditch plea to Boris to back the ‘In’ campaign on the Andrew Marr show on Sunday morning.In a fresh blow to Mr Cameron, it emerged today that Zac Goldsmith, the Tory candidate to succeed Boris as Mayor of London, was backing Brexit too. Previous Previous post: Better Off Out – Most Probably. Worse Off Out – Clearly Not! Next Next post: An Opinion On: The economic consequences of BreXit?